Buy T shirts cheap in our sale. Big snowboarding, skateboarding and surfing brands and designs including Liquid Force Matix, Ride, lib tech, rome, chocolate, almost,darstar,lakai,dvs,duffs,girl, enjoi, blind, plan B, sotari, Flow, SP, Demon, Quicksilver, Dirty Dog, Billabong, Protest, Animal, Reef, Ripcurl, Roxy, Nike, Addidas, Puma, Bench and more. In a wide range of mens, ladies and childrens sizes. Liquid Force T shirt in red with front design. 100% cotton. Tank top T shirt in black with shield LF logo in white. Liquid Force Vest top shirt Shirt in white with a blue Liquid Force logo. Liquid Force T shirt in white with design. 100% cotton. 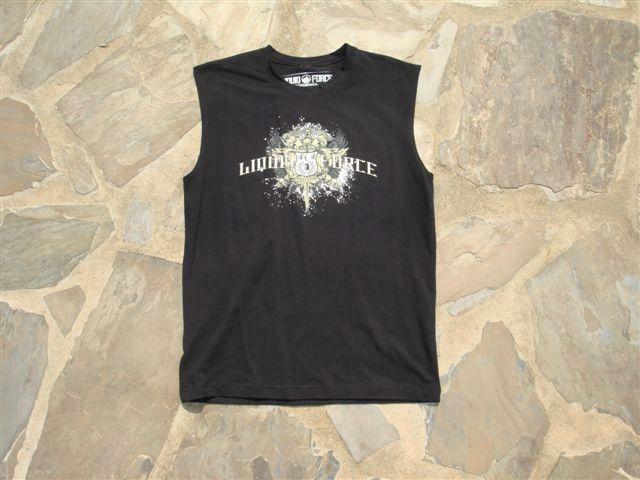 Liquid Force T shirt with action design front and back. 100% cotton, Heavy weight build. 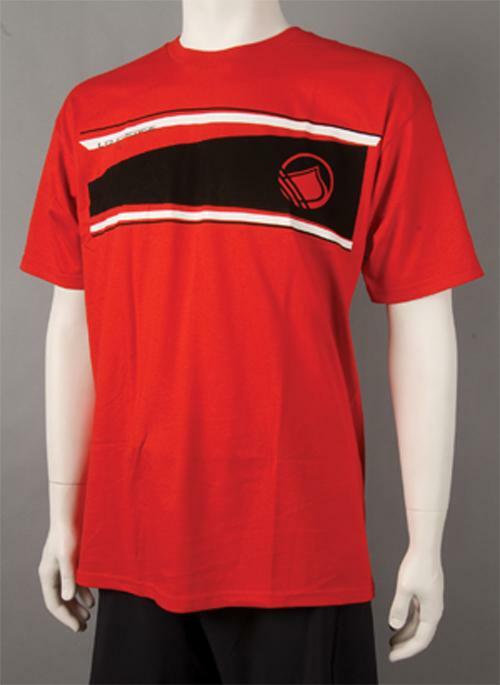 Liquid Force T shirt in grey with a red and white shield on the front. 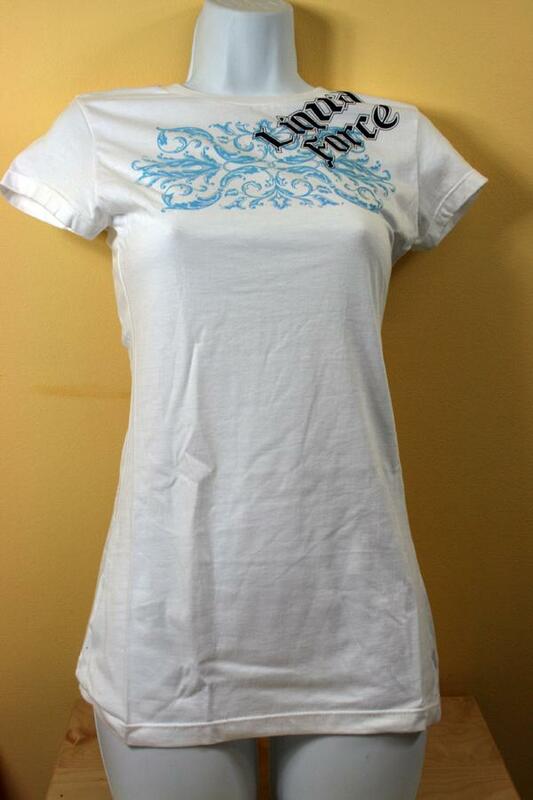 Liquid Force T shirt in cream with design on front. 100% cotton. Liquid Force T shirt in Indigo with shield design on front. 100% cotton. Liquid Force T shirt in Black with front design. 100% cotton. Liquid Force T shirt in ash with shield design on front. 100% cotton. Liquid Force T shirt in green with design. 100% cotton. Liquid Force T shirt in sage green with design front and back. 100% cotton. Liquid Force T shirt in Indigo Blue with design on front. 100% cotton. Liquid Force T shirt in grey with design front and back. 100% cotton. SideBar Liquid Force T shirt in red with a LF logo on the shoulder. Size Large. Liquid Force T shirt in Black with design. 100% cotton. Liquid Force T shirt in Stone with design front and back. 100% cotton. Liquid Force T shirt in light blue with design. 100% cotton. Liquid Force T shirt in Turquiose blue with design. 100% cotton. Liquid Force Tee Shirt in light Brown with horse and cowboy print. Liquid Force Tee Shirt in light Brown with Red Indian print.